SHIVA INDUSTRIES :-Our offered range of body protection products are made by using top quality fabric to provide utmost safety and comfort to the wearer. These products are environment specific and are ideal for the industrial workers. Apart from the range of dangri, aprons and uniforms, these products can also be made with various prints and logos as per the clients approach. Superior liquid an dust protection. Soft, flexible fabric for comfort. High mvtr for higher comfort level. Lakeland "super-b" style pattern- ergonomically styled and sized for generous fit and superior freedom of movement. Protection against light splashes of low hazard liquids and hazardous dry particles. Clean room (may require additional cleaning). General cleaning and maintenance applications. Protection against oils and resins. Electronic assembly (non-linting and anti-static). 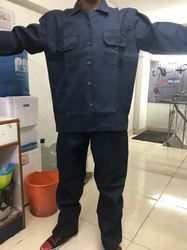 Our coveralls & protective wears have distinctive features of high durability, high tensile strength, good tear strength, colour fastness, pilling resistant, skin friendly, shrinkage control, soft feel, comfort wear and perfect fit. 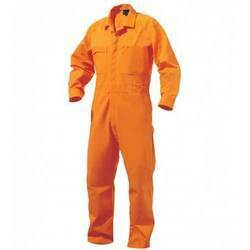 We also make coveralls & protective wears with reflective tapes & logo embroidered or printed as per buyer requirement. 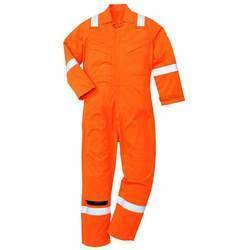 Coverall Dangri made of 100% Premium cotton cloth with 2" inches reflective Tape Chemical Treated. 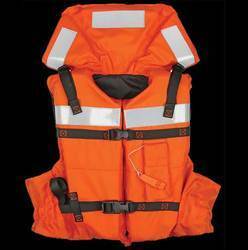 SHIVA INDUSTRIES hold immense expertise in offering of life jackets, which are made of tough and virtually water impenetrable polyethylene fabric. These products are available in various sizes and colors. Besides, known for their fine fitting these products are made by using quality material. Our offered Chemical Protective Suit is broadly used in the petroleum, paper, pulp, pharmaceutical and chemical processing industries. It provides a last line of defense for chemical safety. 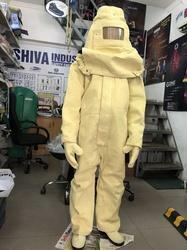 The main purpose of this suit is to shield or isolate individuals from the chemical, physical and biological hazards which can be encountered during hazardous materials operations. 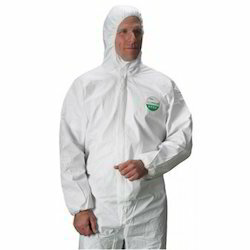 Beside, our offered Chemical Protective Suit is available in numerous sizes, colors and other such specifications to choose from or highly praised for their unique features like fine finish, highly comfortable, or provide added skid-resistance. 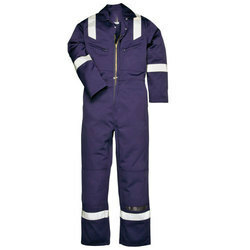 S Protection provide a best range of 100% cotton pre - shrung and mercerized coverall. Which has pocket with flap, zip with metal snap closure and elasticized waist for better hold. 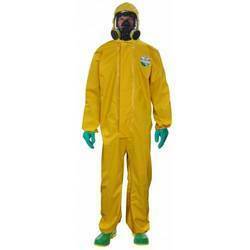 CRFR Disposable, Chemical Resistant, and Flame Resistant, all rolled into one garment. Designed to be worn over woven thermally protective coveralls, such as woven Nomex®, for environments where flash fire is a concern. S Protection provide a best range of Nomex III A (93% Nomex/5% Para Aramid/ 2% Antistatic) concealed two-way, FR Zipper with metal snap closure. Fr Reflective tap on shoulder, elbow and knee. Fr thread for all over stitching and Two extra deep front inset pockets. S Protection provide a best range of 100% Cotton Coverall with Reflective tape which has concealed two-way zipper with metal snap for front closure, two chest pocket with flap, two side pocket , two rear pocket on sleeve and elasticized waistband for better grip. 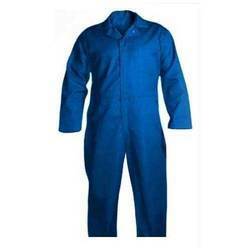 We have attained the maximum satisfaction of our clients by manufacturing and exporting an unmatched range of ESD Coverall. 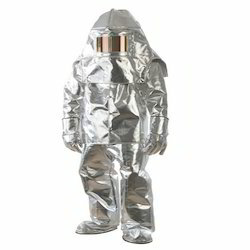 Attached with hood and elasticized cuffs, these dresses are broadly used by employ working in hazardous condition for protecting themselves. In order to design ESD Coverall, we employ premium grade fabrics and latest technology at our state of the art machining facility. HEAT RESISTANCE KEVLAR SUITMADE OF FULL KEVLAR CLOTHALL OVER KEVLAR CLOTH YELLOW TWILL WEAVEEXTRA SUPPORT WITH INNER WOOLEN LINING.UPTO 1000¿¿ HEAT PROTECTION(APPROX)COVERALL CONSIST OF HOOD WITH VISOR, GLOVES, SHOES, ONE PIECE COVERALLTHE CONSTRUCTION OF THE MATERIAL IS USER FRIENDLY, NON-ALLERGIC.STORANG & LIGHTWEIGHT, COMFORTABLE FOR LONG PERIOD WEARING. 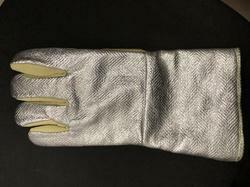 We have carved out a position in providing a wide assortment of Full Heat Resistant Hand Gloveswhich is fabricated under the supervision. Our clients can avail from us Head Lamps that is extremely versatile, comes with a simple electronic push-button switch. These Head Lamps are known for its high quality. 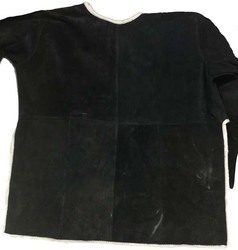 Our organization provide a wide collection of Leather Aprons made with a very fine quality leather material. Our items are provided in many different size and shapes with beautiful patterns to give them a trendy look. These items are strongly built without any stitching used. Moreover, our items are broadly admired in the market for their high durability, they are fire resistant, water proof and tear resistant and hence they bear a longer working life. We also provide these items in bulk on needs and demands placed by as respectable customers. 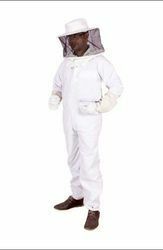 This suit is widely used in apiculture farming to protect beekeeper from sting. The offered suit is designed and manufactured under the observation of our dexterous professionals using optimum quality basic materials by keeping in mind client's specific requirements. 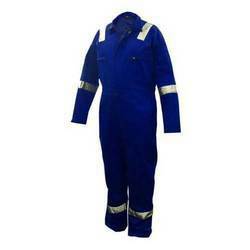 Our company is engaged in designing and supplying a Industrial Worker Dresssuit to our clients. This dangri suit is designed by using 100% polyester that is procured from esteemed vendors. It is widely used in industrial sector for workers. 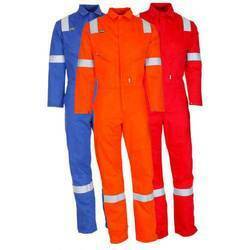 Looking for Coverall Body Protection ?